Edited by two leading general practitioners and with contributions from over 20 authors, this book covers a wide range of topics to do with narrative in medicine. 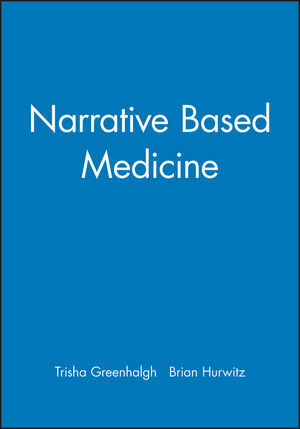 It includes a wealth of real examples of patients narratives and addresses theoretical and practical issues including the use of narrative as a therapeutic tool, teaching narrative to students, philosophical issues, narrative in legal and ethical decisions, narrative in nursing, and the narrative medical record. Trisha Greenhalgh, Professor of Primary Health Care and Director, Healthcare Innovation and Policy Unit, Barts and The London School of Medicine and Dentistry, London, UK. 2.Turtles all the way down. 4.The night my life changed. 7.Have i got epilepsy or has it got me?. 9.Following hte story: continuity of care in general practice. 11.Sirens, stray dogs and the narrative of hilda thomson. Filler: pressuring mrs thomas to accept her treatment. 14.Teaching humanities in the undergraduate medical curriculum. 15.The golden narrative in british medicine. 16.Nursing, narrative and the moral imagination. Understanding narrative in health care. 17.Stories that we hear and stories we tell. 19.The narrative in medical record. Broader perspectives on narrative in health care. 22.Cross cultural medical narratives: some case studies from latvia and siberia. 23.The narrative stream in medical negligence. 24.Narrative based medicine in an evidence based world.